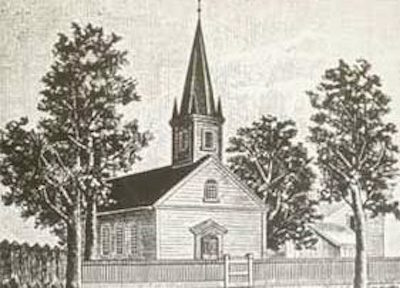 St. Matthew was organized in 1849 as the German Evangelical Church of Carrollton. The young community of Carrollton, where our present church is located, was a small town adjacent to the growing city of New Orleans. When the original church was built (left), an ornamental rooster was placed on the top of the steeple as part of a weathervane. 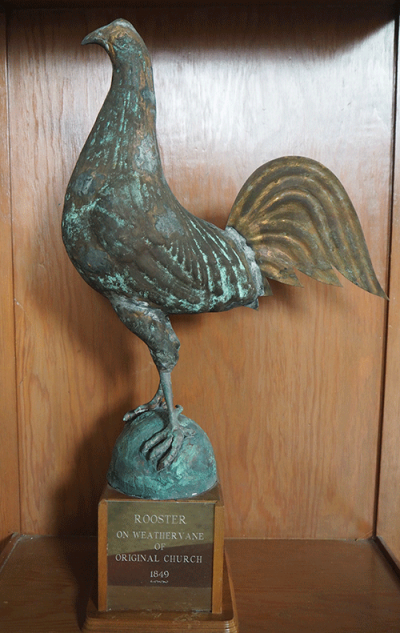 Because of this, the church became popularly known as “The Rooster Church”. This weather vane is displayed in a glass case in the church lobby. The original 144 members of the German Evangelical Congregation of Carrollton pledged themselves to the support of their new church. 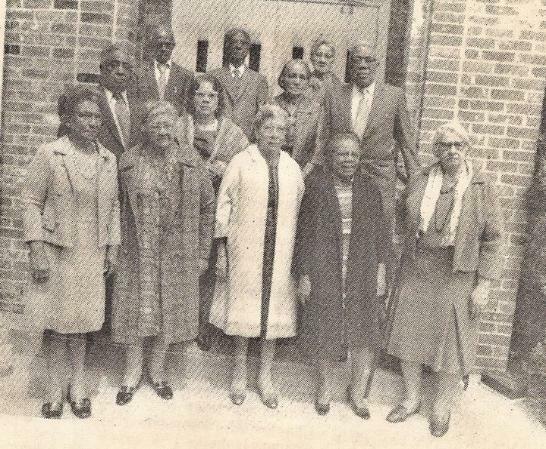 Many of the descendents of those original members are still active in St. Matthew today, continuing the legacy of Christian service of their ancestors. 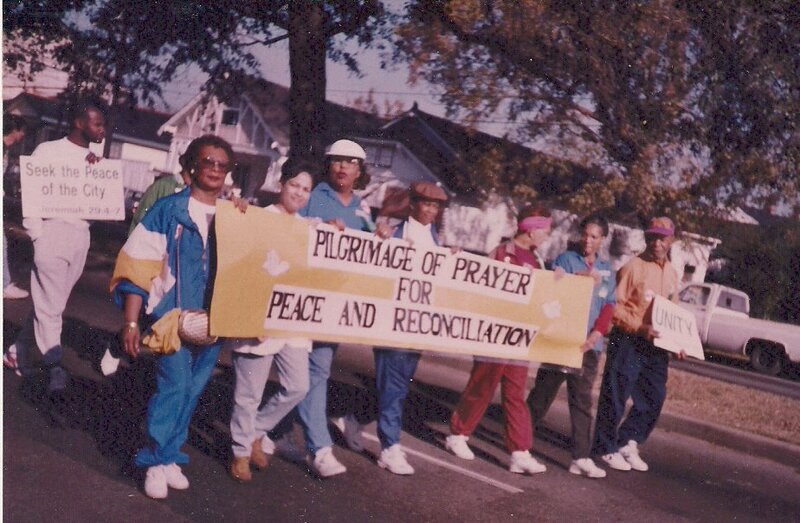 The St. Matthew congregation faced many challenges during those early years. In 1854, the church divided due to a misunderstanding and resultant discord, but reunified in 1884. The scourge of the yellow fever epidemic which ravaged New Orleans, also took its toll on the church, resulting in the deaths of two of our pastors. 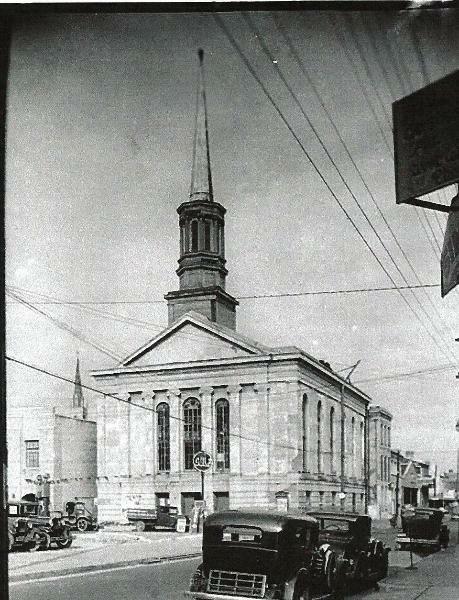 Our present church building was erected in 1923 and was known as “St. Matthew Evangelical Church”, but in 1934, when St. Matthew merged with the Reformed Church of the United States, we became “St. Matthew Evangelical and Reformed Church”. Our final and present name of “St. 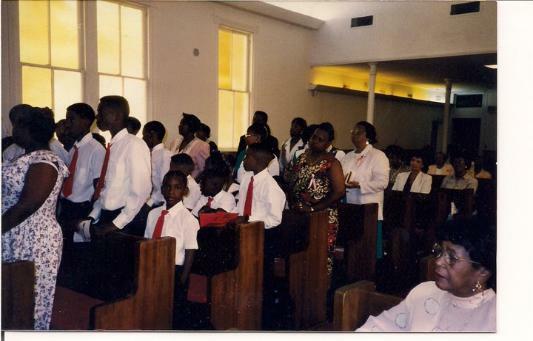 Matthew United Church of Christ” occurred when we merged with the Congregational Christian Church in 1957. In 1999 St. Matthew celebrated its 150th anniversary with a renewed spirit of involvement in new opportunities and challenges for the future. Our beloved Central Congregational United Church of Christ was founded in 1867 by the American Missionary Association, an affiliate of the Congregational Church. The AMA opened Straight University in 1869 on Esplanade Avenue and North Derbigny Street. As head of the Theology Department, the Reverend Charles H. Thompson, DD, an African American and the Reverend Jacob A. Norager, pastor of a small group from St. James A.M.E. Church along with a few from Morris Brown Congregational Church formed Central Congregational with Dr. Thompson as its minister. The date is usually given as June 30, 1872. A handsome three story brick edifice on South Liberty and Gasquet (Cleveland) Streets was Central’s home for sixty-two years. The University Church merged with Central and remained for fifteen years, 1872 -1887. For sixty-two years this building served as the cultural center for the entire African American community, being the largest meeting place in the city. A city-wide banquet given for Booker T. Washington in 1915, was held in the spacious rooms. The first day-care center for African American families, Hume Child Development Center, was founded in 1911 by Rev. Henderson H. Dunn, the then pastor of Central. 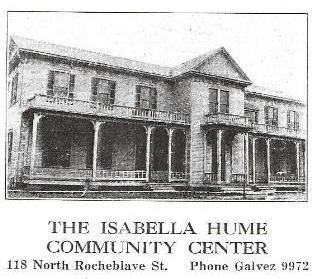 Hume Center is named for Miss Isabella Hume, assistant pastor of Central from 1892-1896. During the pastorate of Dr. Norman A. Holmes, the Liberty Street site was sold in 1934. 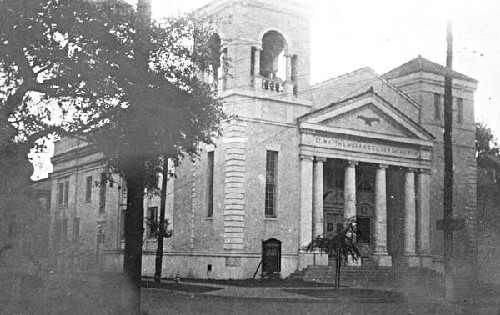 Fortunately, Straight College on Canal Street was preparing to merge with New Orleans University to form Dillard University and its chapel was available for use by Central. The congregation remained there ten years until the Canal Street property was sold in 1944. The church moved in with its sister church, Beecher Memorial Congregational Church. This arrangement lasted two years. 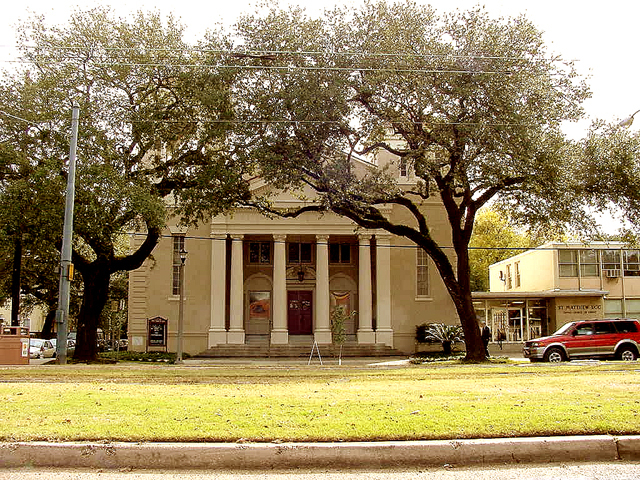 The present church site on the corner of Bienville Avenue and North Tonti Street was purchased in 1930, but World War II intervened and it was not until 1944 that ground was broken. On November 18, 1945, the new structure was dedicated. The new educational building (Hume Center) was dedicated at the Centennial Celebration, Sunday, April 23, 1972. History records that Central has carried three denominational names: Congregational, Congregational Christian (1931) and United Church of Christ (1957). Central has produced many favorite sons to include Ambassador Andrew J. Young, now of Atlanta and Rev. Nicholas Hood of Detroit, MI. For over 130 years, Central has depended upon the guidance of the Holy Spirit to lead us into all truth. 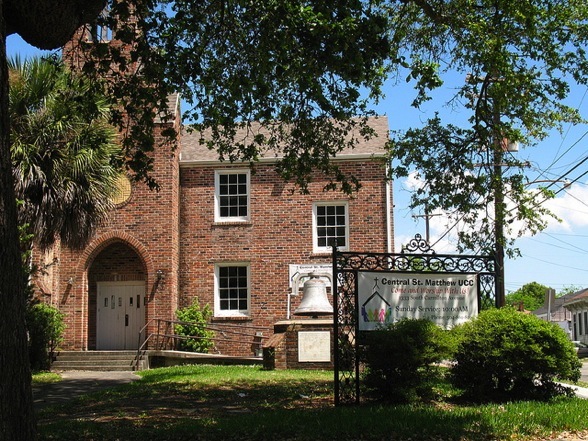 Learn more about the history of Central Congregational UCC here.